Often before I go to bed, I open a book in hopes of reading my day away. I like to get lost in a heartwarming story to carry my mind far away from my to do list. 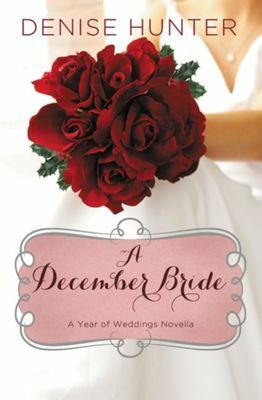 A December Bride is one of those feel good stories you can devour in one sitting. I love instant reading gratification! In this story, a heavy-hearted Layla is about to attend the wedding of her former love. In desperation to attend with a date, she agrees to allow Seth Murphy to drive her. Little does Layla know, the course of her life is about to change in a most delightful way. The wonderful thing about this title is the way Denise Hunter ties it to other full length novels including Dancing with Fireflies in the Chapel Springs Romance Series. I always enjoy visiting old friends. I received a digital copy of this novella from NetGalley in exchange for an honest review. All opinions are mine and I have not been compensated.